Four-spot carrion beetle (Xylodrepa quadripunctata) on a plant stem. 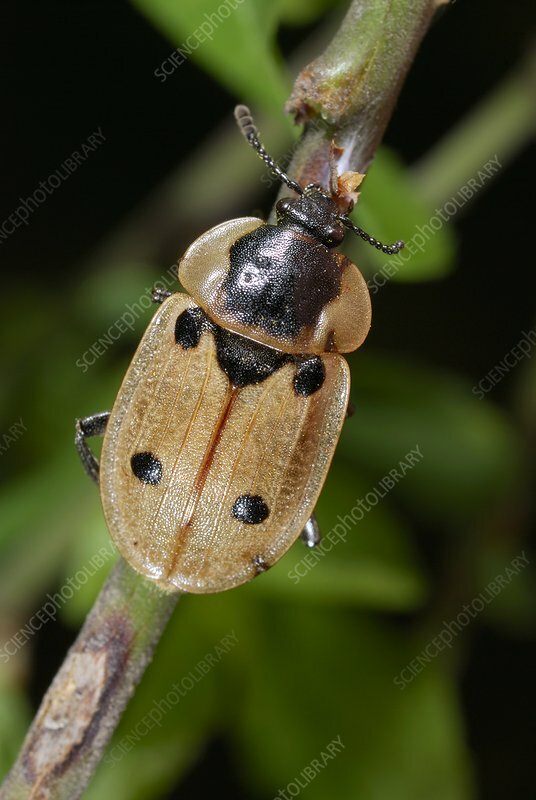 Carrion beetles (family Silphidae) feed on decaying organic matter such as dead animals. Photographed in Poland.